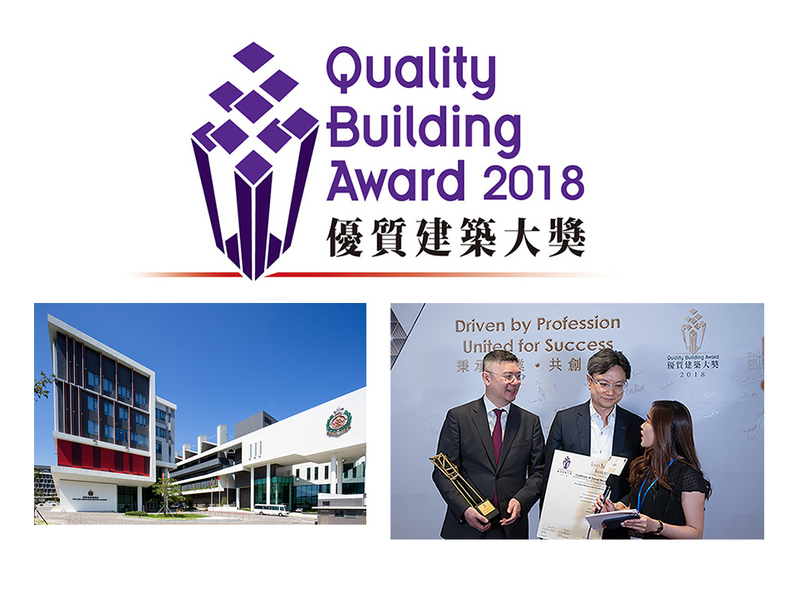 The Fire and Ambulance Academy, a government project that ALKF worked on, has won the Grand Award in the Hong Kong Non-Residential (New Building – Government, Institutional or Community) Category of Quality Building Award – QBA 2018. QBA was co-founded by nine building and construction related institutes and associations in Hong Kong and has been jointly organized on a biennial basis since 2001. It has become established as the most unbiased, prestigious industry award in building sector. Jurors appreciated Project team’s works in response to the challenge of the project: a one-of-a-kind user oriented project within the limited site area to cover the potential challenges of firemen. This award indeed manifested our design approach which has always been contemporary, flexible, and practical to reflect the functional, cultural and contextual requirements of individual projects. As a world class training establishment, this project has not only enhanced the significance for firefighting and rescue training, but also the education value to the general public. It contains an Education Skywalk which takes the public through the history of the Fire Services Department with its enthralling and interactive mix of exhibitions on fire prevention, protection, excavation, and first aid, showcasing Hong Kong on the world stage of fire prevention and rescue. Our teams will continue to provide clients with the professional services, innovative design and efficient project management.